Students are asked that question during Meet the Masters “Introducing the Master” for the artist Piet Mondrian. They remember the importance of keeping the two ends balanced to experience the fun of going up and down. If one friend is bigger than the other, they can’t move because they are not balanced. Now the students use their imagination. Instead of children on either end of the teeter-totter, there are colors! While looking at slides illustrating the concepts, children learn about artistic balancing of color and shape. They see that some colors look “heavier” and more “solid.” You can put a second child on one side of a teeter-totter to help balance a larger child on the other side, just like an artist can use a “helper” color and shape to achieve balance in a painting. 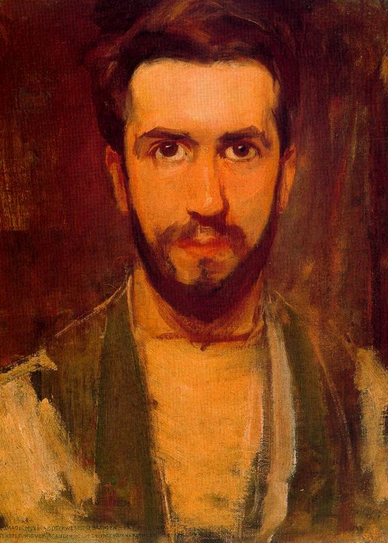 This helps explain how Mondrian balanced colors, shapes and sizes in his abstract paintings. 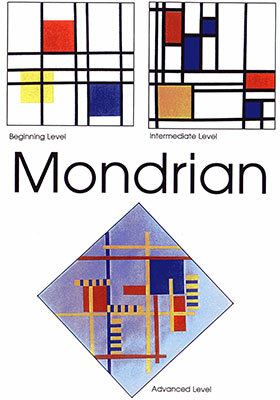 Students learn how Mondrian developed a style of painting that used only straight vertical and horizontal lines, squares and rectangles. He created balance by placing these elements carefully in his composition. The interplay of color and shape keeps everything in motion, inviting your eyes to move from the black bands to the colors, then the whites and beyond. 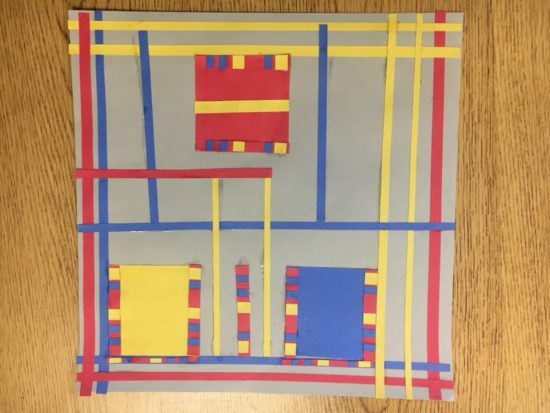 To further explore Mondrian’s combination of balance and movement, students examine elements in Mondrian’s composition while listening to music, focusing on the rhythm and matching it to the movement they see and feel in Mondrian’s shapes. After listening to various music selections, they choose the best musical match for his painting. In the second step of the lesson, “Learning From the Master,” Meet the Masters students get hands-on experience creating balance. Their first worksheet includes a variety of designs where they add shapes and horizontal or vertical lines to achieve balance. Their next challenge is to add Mondrian’s colors of red, blue and yellow to attain balance in a rectangle filled with shapes. They carefully arrange the lighter colors to balance the heavier colors. Now that students have experimented with designing balance, they are ready to create their own expressive arrangement of colors, lines and shapes. In “Working With the Master,” students receive black strips of construction paper, along with red, yellow and blue squares. They experiment with different arrangements – strips touching squares, separated from squares or intersecting squares. 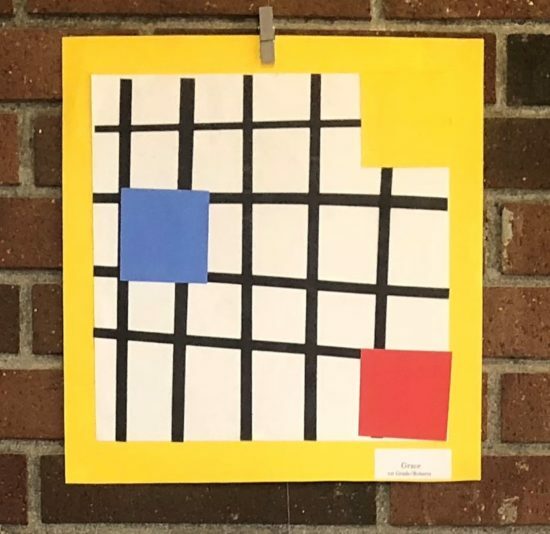 Like Mondrian, students keep their strips perfectly horizontal or vertical, and their squares straight. They may even turn their composition up-side-down to check the balance and determine when it is pleasing to their artist’s eye. When completed, students notice how distinctive all the wonderfully abstract pictures are. They are amazed how many different pictures their class made with just four colors and two shapes. Students learned and practiced the techniques of master artist Piet Mondrian, and they are proud of their own modern masterpieces – geometric, abstract art that illustrates the balance of shapes and colors. Learn more about the Piet Mondrian curriculum and art projects.